A traditional Irish pub near downtown's Pershing Square. Open at 3 p.m. Mon.-Fri., Dinner nightly, Brunch Sat.-Sun. Entertainment: Comedy Wed., entertainment Fri.-Sat. 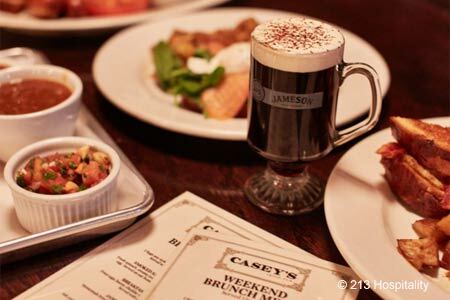 : Casey's attracts denizens from downtown and beyond with its traditional Irish fare, authentic woodsy ambience, and live music on weekends. Specialties include slow-simmered Guinness beef stew, bangers and mash, and fish ‘n’ chips, as well as American comfort foods like mac ‘n’ cheese and grilled cheese sandwiches accompanied by tomato soup. Since Cole’s, famous for its French dip sandwich, is a sister restaurant, that signature item is available here, too. 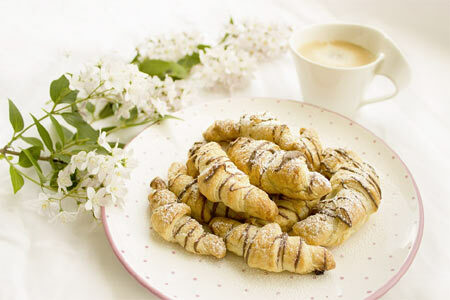 Guests may finish with Irish bread pudding or perhaps an Irish coffee. More than a dozen Irish whiskeys are poured at the bar, and Guinness and Smithwick's Irish red ale are on tap.